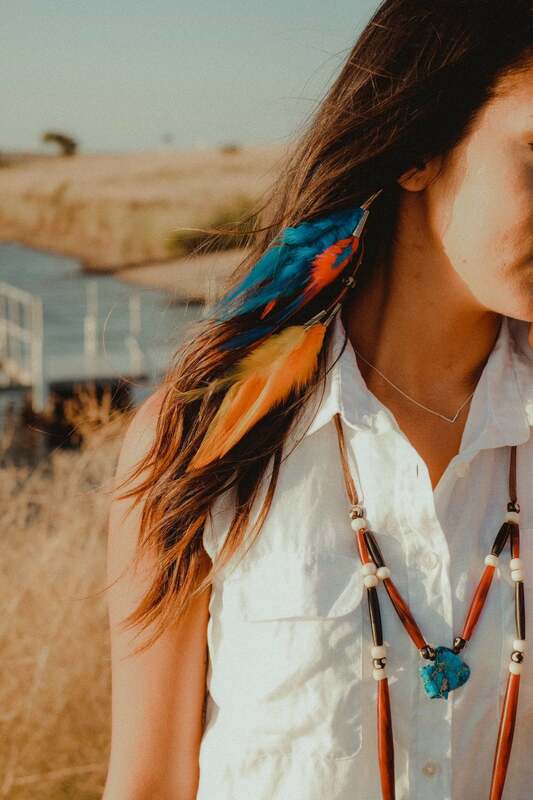 Native American made hair feathers. 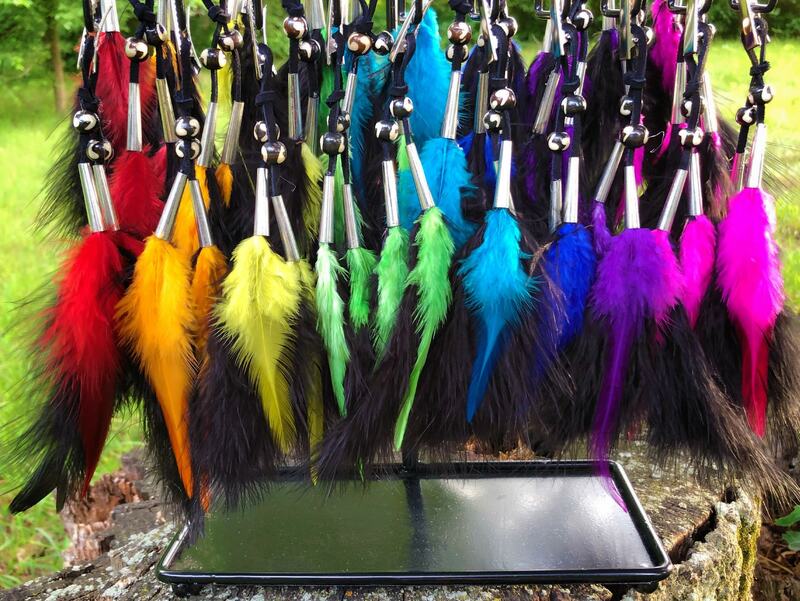 You will receive one hair clip which consists of 4 feathers (2 on each side), your choice of color, paired with a fluffy black plume. 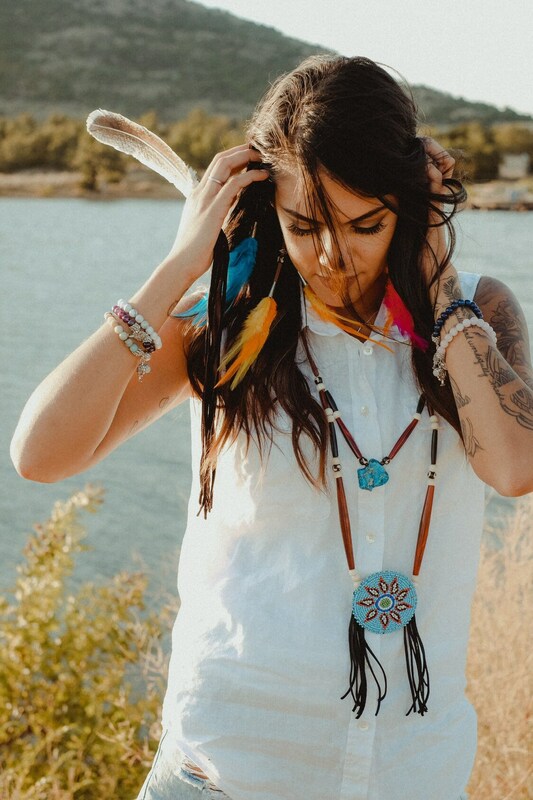 Each clip is assembled on buckskin suede with two tone hand carved buffalo bone beads. 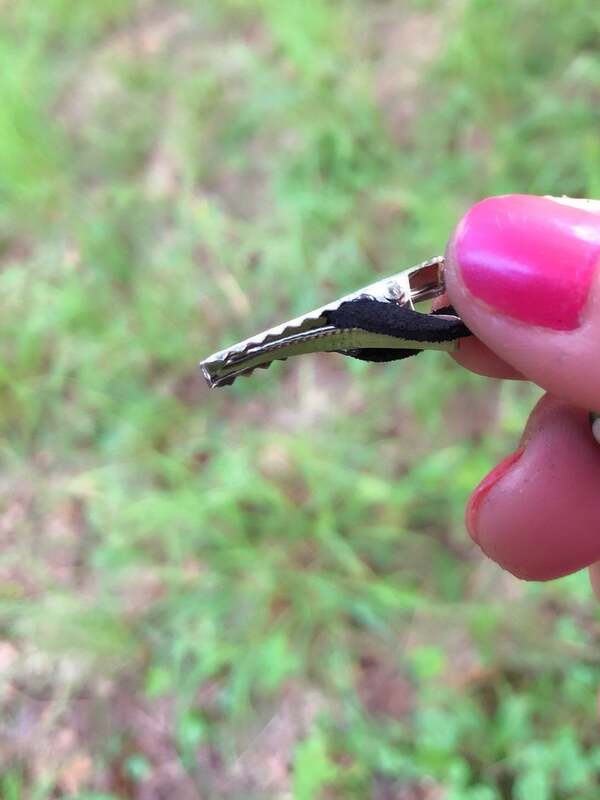 Clip is an alligator style with teeth for a secure hold. 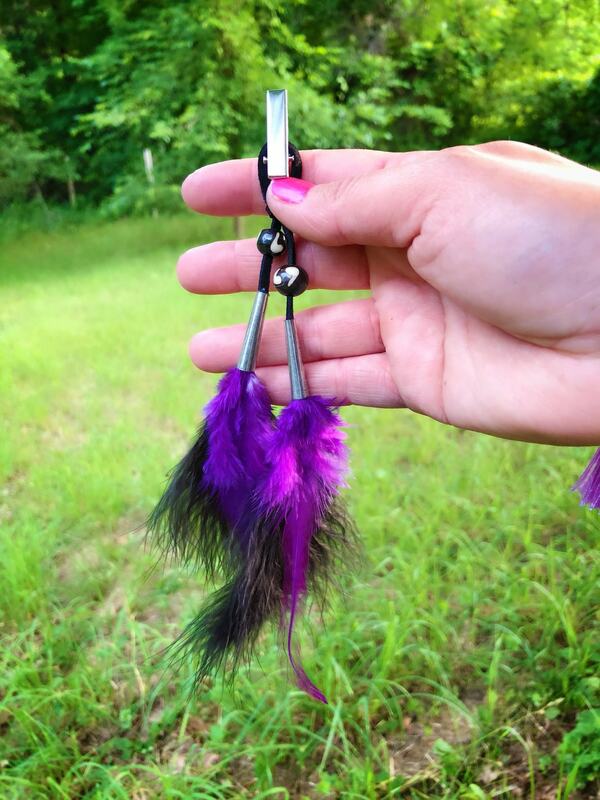 Ordered several colors of hair feather clips. Beautiful.